KUALA LUMPUR (July 7): The Canada Pension Plan Investment Board (CPPIB) is negotiating with Malton Bhd on the purchase of a 49% stake in Pavilion Bukit Jalil mall, The Edge weekly reported in its July 9, 2018 issue. Malton is held by Tan Sri Desmond Lim Siew Choon. 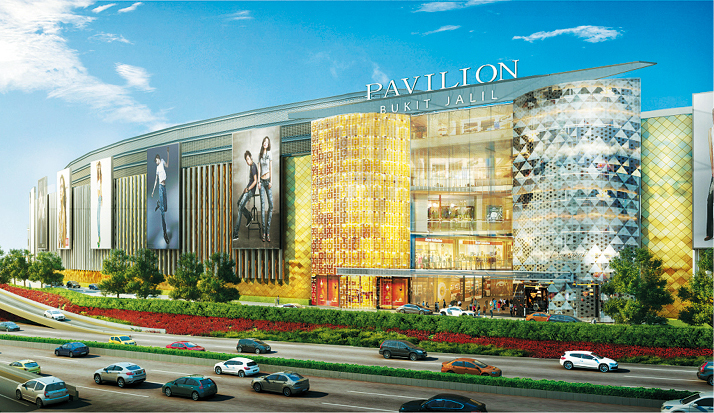 “CPPIB is looking to invest in the mall portion of the Bukit Jalil development. It has been very happy working with Desmond and he is someone it knows,” a source told the weekly business publication. If everything works out according to plan, this will be the third partnership between Lim and CPPIB. The earlier two are Pavilion Damansara Heights project in Kuala Lumpur in 2015 and Pavilion Dalian in China in 2016. The source also told The Edge that the partnership could extend to other projects in which Lim is participating. Another source told the weekly that Pavilion Bukit Jalil mall will likely be placed under a special purpose vehicle to accommodate the partnership. CPPIB is one of the world’s largest retirement funds. As at March 31, its total assets under management was C$356.1 billion (RM1.1 trillion) of which C$72.5 billion are invested in Asia. It has also invested in AREA Industrial Development Fund I in Malaysia. The Bukit Jalil City project has a GDV of RM4 billion and is being developed by Pioneer Haven Sdn Bhd. Pavilion Bukit Jalil mall will have a net lettable area (NLA) of 1.8 million sq ft with a GDV of between RM1.4 billion and RM1.6 billion. The 49% stake could be valued at RM200 million to RM300 million. The mall, which is located in southern Kuala Lumpur, is set to open its doors in the third quarter of 2020.